MAYS LANDING, N.J. (November 9, 2018) – Atlantic City Electric has taken essential steps to ready the local energy grid and provide customers with safe and reliable electric this winter. The local energy company has completed this work to prepare for colder temperatures and wintry weather – part of the $312 million the company spends each year to modernize the local energy grid, perform maintenance and inspections, and enhance existing infrastructure. On the local electric grid, preparation includes inspecting and upgrading equipment; trimming trees, which cause about 40 percent of power outages; building new underground equipment; and installing stronger, tree-resistant aerial cable. Atlantic City Electric also continues to install smart technology that can automatically identify the location of damage, restore service more quickly, or isolate damage. Ongoing investments in the local energy grid have resulted in a 40 percent decrease in the frequency of outages for customers over the last five years. Just as Atlantic City Electric prepares, customers should also prepare. Assemble an emergency storm kit. Include battery-powered radio or TV, flashlight, a first-aid kit, battery-powered or windup clock, extra batteries, special needs items, medications, multi-purpose tool, cell phones with chargers, and list of important and emergency phone numbers. Apply insulation, caulking, and weather stripping around your home to keep out the cold. Keep a flashlight with fresh batteries on each floor of your home. Identify an alternate location for you and/or your family in case of extended outage. Review the manufacturer’s instructions for safe operations of your generator. Do not connect a generator directly to your home’s wiring. Never use a generator indoors or any enclosed area. 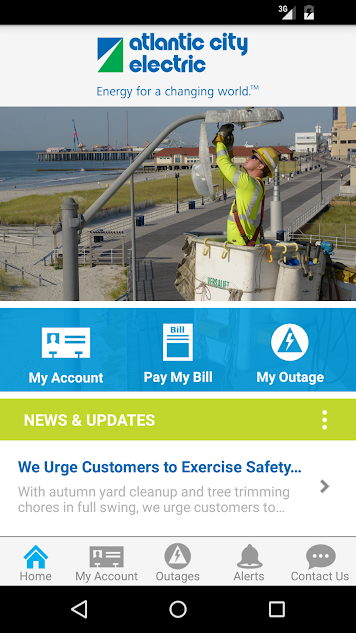 Download Atlantic City Electric’s app at atlanticcityelectric.com/mobileapp to keep informed during a storm. Atlantic City Electric’s preparation efforts also include conducting emergency response drills, testing computer and emergency systems, reviewing emergency processes and procedures, and coordinating closely with government and community partners. The company also participates in collaborative emergency response exercises with its Exelon sister companies – BGE, ComEd, Delmarva Power, PECO and Pepco – to ensure each can provide seamless support during a storm. During the series of nor’easters last March, this coordination allowed crews from ComEd to quickly respond and support power restoration efforts in the hardest hit parts of the East Coast. Being prepared is a responsibility everyone should take seriously. If a severe storm hits, monitor local weather reports regularly and follow the advice of local emergency management officials. Immediately report a downed wire or service issue by calling 1-800-833-7476​, visiting atlanticcityelectric.com, or through the company’s mobile app. More tips, resources and safety information are available at atlanticcityelectric.com/storm. To learn more about Atlantic City Electric, visit The Source, Atlantic City Electric’s online news room. Find additional information about Atlantic City Electric by visiting atlanticcityelectric.com. Follow the company on Facebook at facebook.com/atlanticcityelectric and on Twitter at twitter.com/acelecconnect. Atlantic City Electric’s mobile app is available at atlanticcityelectric.com/mobileapp. 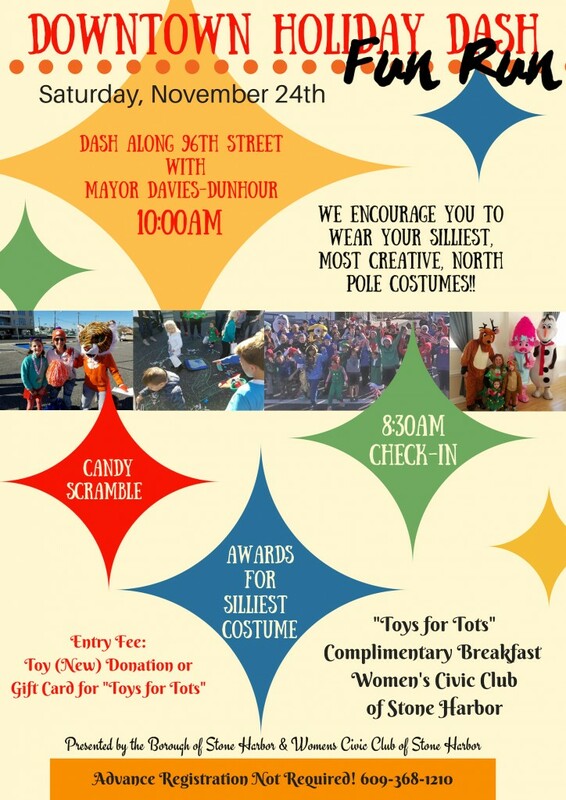 Unfortunately the Stone Harbor Christmas Parade has been Cancelled due to impending weather conditions and will not be rescheduled. 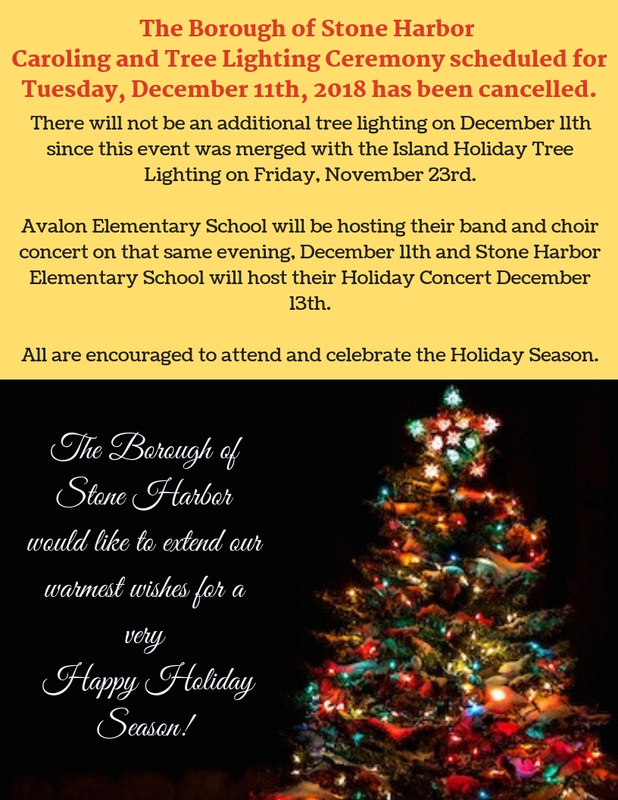 The Borough of Stone Harbor wishes everyone a very Happy Holiday Season!! 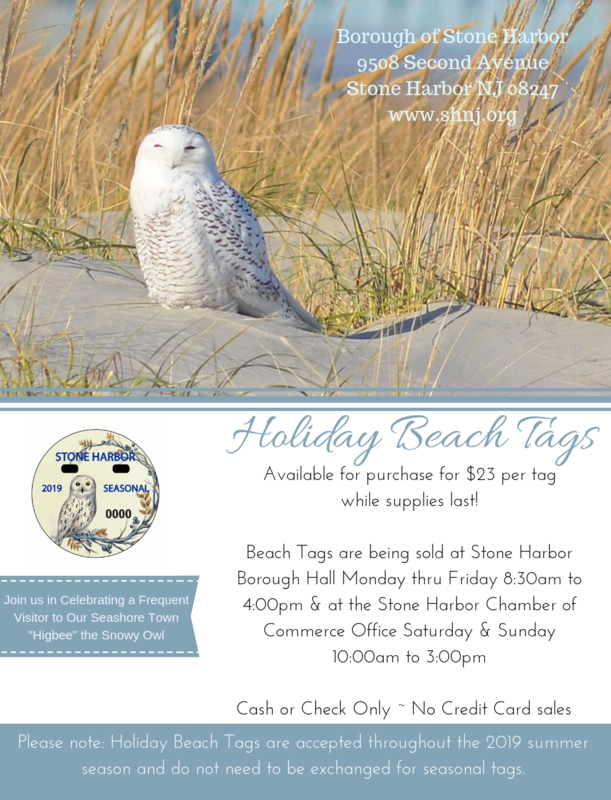 Stone Harbor Holiday Beach Tags Available ~ While Supplies Last! 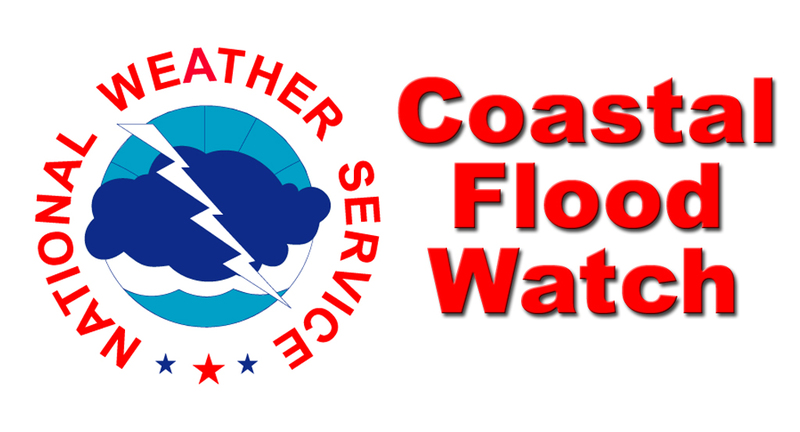 The National Weather Service has issued a Coastal Flood Watch for barrier island communities of southern New Jersey for Saturday, October 27th, from Saturday morning through Saturday afternoon. A Wind Advisory has also been issued from Friday at Midnight through Saturday at 11:00am. A Flash Flood Watch remains in effect from early Saturday morning through Saturday afternoon for the potential for two to three inches of rain. A coastal storm will form off the coast Friday night which will bring rain, heavy at times; strong gusty winds approaching 50mph; and moderate coastal flooding at time of high tide Saturday. High tide occurs Saturday at the Townsend’s Inlet Bridge Saturday at 10:16am. Street flooding is very likely at time of high tide in flood prone areas. Never attempt to drive on any street or through any intersection that is flooded as this puts you and your vehicle at risk, and creates an unnecessary wake that can damage private and public property. Between two to three inches of rain is possible from this storm event. Some street flooding from heavy rain is possible in advance of the tidal flooding on Saturday morning. Property owners should secure any objects that may become airborne, including trash cans and light patio furniture. Contractors should secure their work sites on Friday for the anticipated strong winds Friday night into Saturday. If you have any emergency, dial 911. If you have a power outage, contact Atlantic City Electric directly at 1-800-833-7476. Continue to follow traditional media outlets for updates on this weather forecast. the coastal storm which will be affecting the region. * WINDS…East 20 to 30 mph with gusts up to 45 mph. * TIMING…From late tonight through Saturday morning. 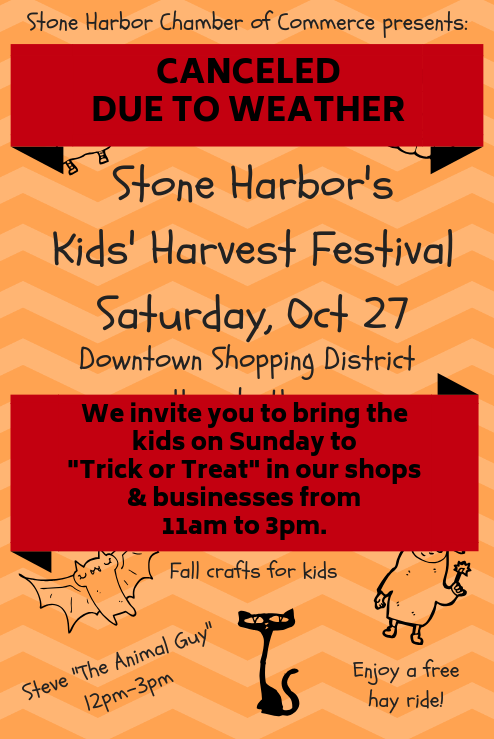 * LOCATIONS…Southern New Jersey shore. EDT Saturday morning. High tide will occur later on back bays. * WAVES…7 to 10 feet on the ocean front. flooding are expected to develop. 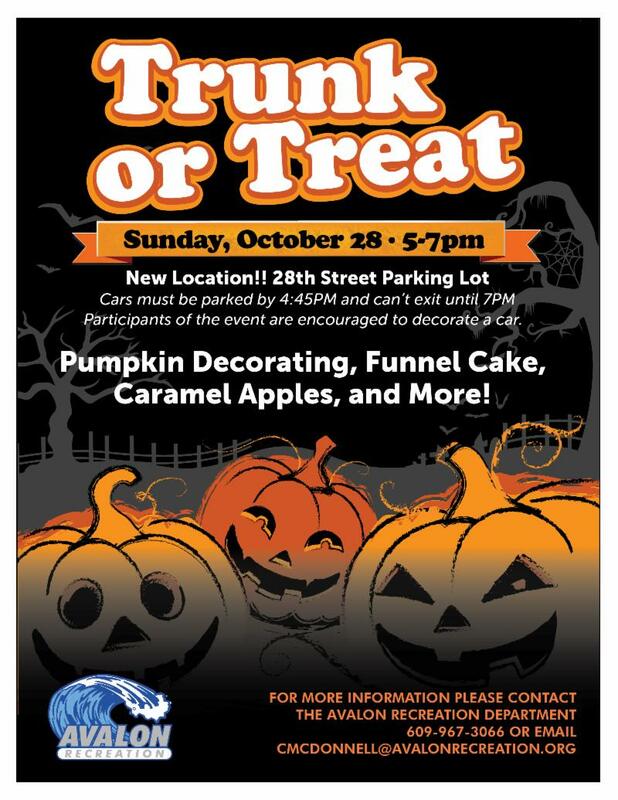 Due to the threat of inclement weather forecasted for Saturday, 10/27, Trunk or Treat is postponed to Sunday 10/28 5PM-7PM at the 28th Street Parking Lot.